Share Who needs to be better in Game 2 for Penguins? So the Penguins are down in their Round 1 series, 1-0, after dropping Wednesday’s game in overtime. It was not always pretty, and it probably left you frustrated. Welcome back to the playoffs, friend. 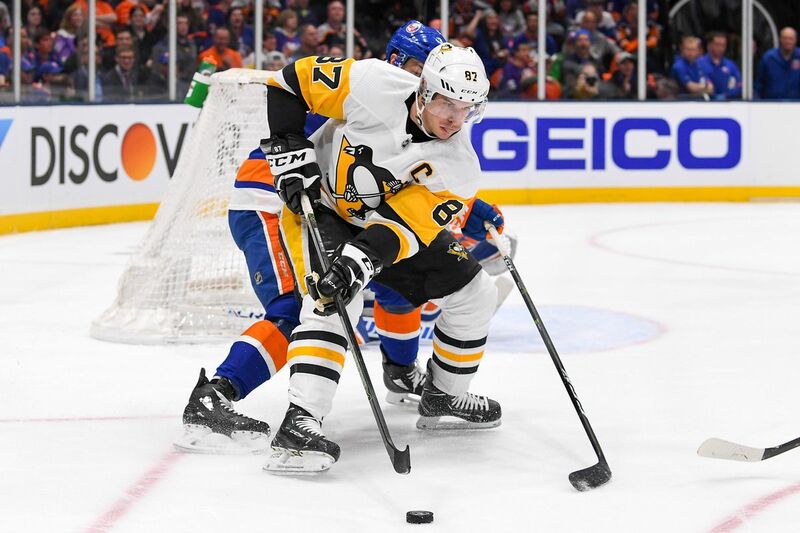 If you are looking for some optimism, here it is: The Penguins probably played as poorly as they could have played, took a great shot from the Islanders, and still found themselves in a fairly even game that was one shot in overtime from going in the other direction. You have to think the Penguins have more to offer as a team in Game 2, and if they get it, stand a pretty good chance to even the series. For them to get that better team-wide effort, they are going to need more from these individual players. Sidney Crosby. So much ink and airtime was wasted on the decision to play Olli Maatta over Jack Johnson, especially since Maatta had a terrible game and made a mistake that ended up in the back of the net. But he was far from the only player to make mistakes (or mistakes that ended up in the back of the net) and just because the goalie stopped some of the other mistakes doesn’t mean they were any less of a mistake. The two biggest issues the Penguins had in Game 1 were their inability to consistently get out of the defensive zone, and the fact two of their best players had pretty terrible games. Let’s start with Sidney Crosby, who had a very un-Crosby like playoff game. When Crosby was on the ice during 5-on-5 play the Penguins lost the shot attempt battle 21-15, they were outchanced 14-4 (including 7-3 in high-danger chances), and were outscored 2-0. That is bad. The good news is I do not expect — and neither should you — Sidney Crosby and his line to have two games in a row like that. If they do? If the Islanders are able to do that to him and his line two games in a row, and consistently over the course of a best-of-seven series? Then you tip your cap to them and say they deserve to win. Whether that actually happens remains to be seen, but I am confident we see a better version of Sidney Crosby on Friday. Kris Letang. He was the other top player that did not have a great game. He did not struggle as much as Crosby did, but he was not at his best and not at the level we saw him at during the 2018-19 regular season. The overall shot attempt numbers were good, but the scoring chance numbers with him on the ice gave the Islanders a slight advantage, and while I will defend Letang’s aggressiveness until the bitter end, you have to pick your spots better than trying to go 1-on-3 in overtime of a playoff game. He needs to be better, and like Crosby, I expect him to be. Brian Dumoulin. At some points I thought he struggled just as much, if not more, than Maatta. Though, I suppose some rust should have been expected given it was his first game back from injury. Still, he is one of their top-two defenders and did not play like it in Game 1. Olli Maatta. I mean ... yeah. I expect the Penguins to go with the same lineup in Game 2 because Mike Sullivan doesn’t usually panic after one game. If that happens, Olli needs to be a lot better, not only for the sake of the team, but for his own sake in shifting the discussion somewhere else away from him. So there we are. Those are the four key players for Game 2 in my eyes. In the end, everybody needs to be better, especially as it relates to puck management, turnovers, and getting out of the defensive zone, but these four players are at the top of the list. You could add Jake Guentzel and Bryan Rust in there, too, but they are all connected to Crosby, and if he plays better, they are going to play better. I still think the Penguins are the better team and, in the end, are going to win the series, and nothing has changed my opinion after one game. If anything, I feel even stronger about it because of how bad they played in the first game — and how off the four players above were — and how close they still came to winning it. When you start a series on the road your main objective should be splitting the first two. Take care of that on Friday and you are back in business. Some simple advice for the Penguins this offseason: Just do not do anything dumb It really is that simple.